Pictured: Architect's drawing of the St. 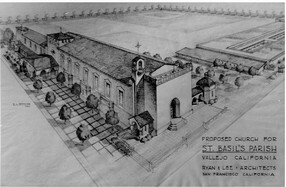 Basil Catholic Church, located at the corner of Tuolumne and Nebraska Streets in Vallejo. Miss Lucy Gertrude Doyle was born in Vallejo in 1874. 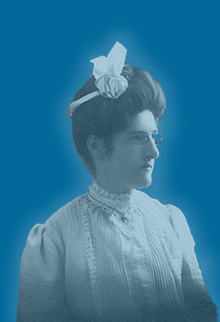 She was appointed to the position of head librarian in the Vallejo Public Library in 1898 and retired in 1944. She died in Vallejo in 1962. Photo courtesy of Vallejo Naval and Historical Museum.